Do you want to feel more confident about the financial decisions you make? Would you rest easier knowing that you are doing everything you need to in order to achieve financial freedom? Do you want to have more time and freedom for the things you enjoy? Whatever your current situation, financial concerns have an impact on your life and relationships. Savvy Outcomes can help you make the financial decisions that will make the most of what you have now and help you build a more secure, enjoyable future. 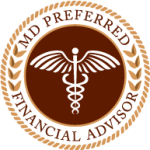 As fee-only financial planners, our only compensation is what you pay for our professional advice. Our complete focus is on what is best for you and never sell financial products or receive commissions. Together we evaluate all aspects of your finances and design a strategy where everything works in harmony. We pay close attention to areas of your financial life that are often overlooked or ignored. We understand that your life is constantly changing. For one annual retainer fee, you can meet with us or speak to us as often as is necessary to help you accomplish your financial goals. We are committed to providing value that exceeds our fee. After all, doesn’t it make sense that your financial planner should work to save you more than they charge you? We hold ourselves to a high professional standard and are committed to The ACP Pledge— your assurance of receiving the ethical and professional treatment you deserve. Our goal is to help you build wealth through knowledge™ because we believe knowledge is the power to build wealth and create Savvy Outcomes. Savvy Outcomes Inc. is registered with the state of Arizona and Ohio. The firm may serve clients in Arizona, Ohio and in those states in which it is exempted from registration. Savvy Outcomes Inc. provides fee-only personal financial planning to middle-income individuals and families and small businesses. The information in this website is designed to provide a general overview with regard to the subject matter covered and is not state specific. Savvy Outcomes Inc. does not render or offer to render personalized investment advice or financial planning advice through the website. The authors, publisher and host are not providing legal, accounting or other advice specific to your situation.